Claire and Chris chose to get married where they got engaged: in Queenstown! 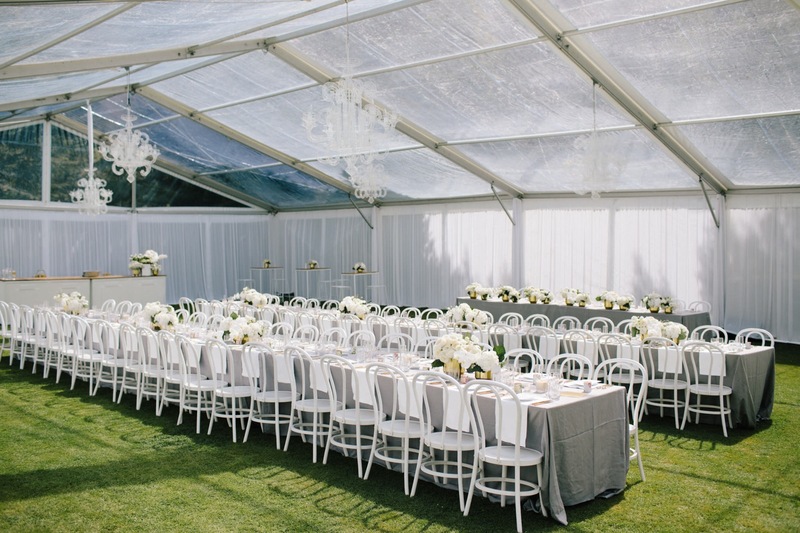 Astrid, from PS I LOVE YOU EVENTS, gathered the most talented team from all over New Zealand to create the most beautiful wedding day. I loved Astrid’s chic, clean and effortless styling thanks to LL Furniture Hire chairs & bar leaners (Lucy is amazing!) paired with the incredible florals of The flower room and lighting from La Lumiere. The guests favours were the amazing candles from local Lake Wanaka company, George and Edi. The venue Trelawn Place is a hidden gem! This venue has a stunning view and was a little slice of heaven for Claire and Chris’ wedding. Bonus points for all the signage+paper stationery by Harlan Creative and the mix’n’match bridesmaids dresses by Celine Rita!